They’re not only painful, but they’re stressful for your dog and they’re stressful for you too. Preventing hot spots should be high up in your priorities when it comes to your dog’s care. And treating them without antibiotics should also be a high priority … and the good news is you can with the following list. Here are the best natural home remedies that can help ease the pain, itch and stress that comes with your dog’s hot spot. But first, it’s important to understand what hot spots are and how they’re caused. Hot spots are essentially an immune-mediated response of the skin. They appear as red, moist, irritated, sometimes oozy skin lesions that can appear anywhere on your dog. Hot spots also tend to appear suddenly, with no warning. If they’re untreated, they can also spread very fast. So if you see one on your dog, it’s important to get treating it right away. Also known as acute moist dermatitis, hot spots can be caused by an allergic reaction, a bug bite, poor grooming or underlying disease. They can even be caused by boredom or stress. Thick or long haired breeds are most often affected. Whatever the cause, there are always safe and effective natural treatments. But before choosing a solution, you’ll need to understand the cause of your dog’s hot spots. This is a question of watching your dog closely and thinking about what has happened recently in his life that might have caused the hot spot. Has he been somewhere where he might have been bitten by an insect? Is his coat matted in the area of the hot spot so the skin underneath can’t breathe? Has he eaten anything unusual that might have caused an allergic reaction? Or at some times of year, perhaps he’s been exposed to environmental allergies like grasses, pollens or molds – or even scummy pond water – that might have caused a reaction? Does he have a sore spot such as an achy hip or knee that he’s been licking or chewing? Does he have fleas? Flea allergy dermatitis can also cause hot spots. Is he getting enough exercise and mental stimulation or is he bored? Does he get upset being home alone or is there some other change in his home situation that could have caused stress? Once you know what’s causing the hot spots, you can choose from some of the options below. But first, you need to know you can get through this without antibiotics or conventional drugs. And you really need to try hard to do this. Why Not Use Conventional Treatments? Using conventional medications such as antibiotics is not a good idea and can even be harmful over the long term. Skin conditions (such as hot spots) are never “just skin conditions.” They always have an underlying cause and the hot spot is nothing but a symptom of that underlying disorder. That’s why it’s important to address the cause of the hot spot … otherwise, it will just keep coming back. Conventional medicines (even the topical sprays your vet might want you to use) almost always work by suppressing the symptoms (in this case, the hot spot). That’s why so many conventional medicines are called anti … there are antifungals, anti-inflammatories and in this case, antibiotics. All work to treat the signs of the disease but do nothing to treat the dog to make sure he doesn’t get sick again. So let’s take a look at how we can safely and effectively avoid those conventional treatments and actually treat the hot spot. If your dog develops a hot spot, you can start by trimming the hair around the area and cleaning any puss or dead skin. Just remember that this spot can be quite painful so just be careful. Here is a list of proven natural remedies you can use to replace those conventional drugs … and these natural remedies are actually more effective as they won’t stress your dog’s immune system, making it less likely for those hot spots to come back. Calendula can be used to treat hot spots caused by various types of skin irritations. It comes in many forms: cream, salve, oil and lotion, teas and tinctures. This well-known herb can reduce itching and inflammation and promote quick healing of skin tissue. And the best part is, it’s is extremely effective for calming the itch. You can buy calendula products at any health food store. It’s safe for your dog to ingest if he licks it too. For hot spots, you’ll want to avoid tinctures made with alcohol as they can sting or irritate the area. Apply calendula liberally on the affected area and repeat as often as needed. You can also try this recipe. Mix together the salt and the water. Add the calendula tincture. Use a clean cotton ball to sponge the lotion onto the hot spot 2-4 times a day. Hypericum is also a great option for treating hot spots. Also known as St John’s Wort, this herb is useful when combined with calendula to reduce pain and inflammation, and to promote healing. Hypericum and calendula tincture diluted in water (HyperCal) is an effective and relieving antibacterial wash for hotspots. You can buy hypericum and calendula tinctures on Amazon or at your local health food store. Then put 12 to 15 drops of each in 1 cup of warm water. Use the water as often as necessary to relieve the itching and keep the hotspot clean. Don’t forget to dry the area with a clean cloth when you’re done. You can also buy HyperCal already made – just ask for it at your health food store and they’ll know what it is. Coconut oil has antifungal properties and can be useful both topically and internally … and it contains medium chain triglicerides that complement the Omega-3 oils. If your dog has a tendency towards yeast infections, adding coconut oil can be helpful. Alternating different types of oils is a good way to include coconut oil in your dog’s diet, feeding coconut oil one day and Omega-3 oils the next. You can give your dog 1 teaspoon (5ml) of coconut oil per 10 pounds of bodyweight, or 1 tablespoon per 30 pounds (13.6 kg) of bodyweight. But ease into it gradually, starting with about a quarter of this amount, then build up slowly. You can make a topical cream with coconut oil and oil of oregano to fight the bacterial infection and calm and soothe the irritated skin. All you need is coconut oil and oil of oregano. To make it, blend together 5 drops of oil of oregano with 5 tsp of coconut oil. Apply it to the hot spot once a day. Hot spots on dogs tend to be pretty moist, so use black tea to dry up a hot spot. The tannins in black tea can help stop the infection and help it heal. Steep a black tea bag in 8 ounces of water. Let it cool. Then you can use either the tea bag or a cotton ball to apply tea to the sore. Hold it to the hot spot for several minutes or longer if your dog doesn’t seem to mind it. No matter what the cause, there’s always a homeopathic solution! Remedies commonly used for hot spots include: Apis, Belladonna, Calendula, Aconite, Pulsatilla, Graphites, Mercurius, Rhus tox, Arsenicum, and even Bach Rescue Remedy. We’ll talk about this in a moment. You can buy homeopathic remedies at apothecaries and most health food stores, and at many online suppliers like Amazon (just “Google” the name of the remedy you’re looking for). Homeopathic remedies also come in different “potencies” and you’ll also need to know which one to ask for when you shop. Hot spots are acute and fast acting, which means they respond well to dosing with a 30C or 200C potency. Ask for either of these potencies when you buy or order your remedies. One exception to this advice on potency is that if your dog is extremely distressed or uncomfortable, you can use a 1M potency. Which Remedy Should Your Dog Get? Homeopathic veterinarians prescribe remedies based on the physical and mental state of the dog and the remedy will vary according to your dog’s overall symptoms. Apis (Apis mellifica): Apis is often the most useful remedy to use for the early stages of hot spots due to their angry, itchy and violent onset (Apis comes from a honey bee so think of a bee sting). The Apis patient is often thirstless. Belladonna: Hot spots that require Belladonna will appear and grow almost instantly and the skin will be bright red, hot and relatively dry. The dog will appear restless and irritated and will move away from heat. The Belladonna patient will usually seek water. Calendula (Calendula officinalis): Often, homeopathic calendula (not the herbal calendula recommended in the topical treatment) is useful for the healing stages of a hot spot. Aconite (Aconitum napellus) can be used for animals displaying a lot of anxiety and restlessness during the development of hot spots. Graphites: Graphites is an excellent skin remedy and will be necessary if there is a sticky discharge that appears like honey. These dogs can tend toward excess weight and the itch and discharge will be worse with warmth. The surrounding skin and coat may feel greasy and the hot spot will have a cracked appearance. Mercurius: These hot spots will also have a yellow or even greenish discharge with a yellow scab. There may also be hair loss and bleeding around the lesion. These dogs will also want to move away from heat. Rhus tox (Rhus toxicodendron): Like a rash from poison ivy, the hot spot that requires Rhus tox will be red and very itchy with a pimpled rash-like appearance. There will be swelling and the hot spot will be hardened. These dogs prefer warmth and will feel better when out moving and walking. Most homeopathic remedies come in little pellets or granules. Many dogs don’t mind taking them, as they’re sweet-tasting. If that’s the case, you can just twist the container until two or three pellets (or 10 to 15 granules) drop into the cap, then tip them into your dog’s cheek (preferably without touching the remedy with your hands). As long as the pellets or granules come into contact with the gums or other mucous membranes, your dog has been dosed. But if your dog spits the pellets out, you might need to resort to wet dosing. Place three pellets or two drops of the remedy in a small bottle of spring water or an amber bottle with a dropper. Shake it or slap it against your palm 10-20 times. When you give it to your dog, give it in small amounts to make sure the liquid is on his gums for as long a period as possible. A single dose is a teaspoon or a dropper. It’s also best to give the remedies away from food if you can. Hot spots can come on very suddenly and they usually spread fast, so you need to get the remedy into your dog quickly when you notice a hot spot. Once you’ve started dosing your dog, you’ll need to keep an eye on the hot spot for changes. The condition of the hot spot – whether improving or worsening – will guide you as to when you need to give your dog another dose of the remedy. So keep watching it! The general rule is … if the hot spot is getting better, stop dosing. Only redose when you see the hotspot get worse or the improvement stops. Start out by giving your dog a dose every 30 minutes, for up to four doses … or until you see some improvement. Or, if your dog is extremely uncomfortable or distressed as mentioned above, and you’ve chosen a 1M potency, give the remedy once per hour up to three times. In either case, if you see the hot spot start to improve after the first dose or two, there’s no need to keep dosing. Remedies work quickly with acute, fast-moving issues, so (especially if the hot spot appeared very suddenly) you should see a change in the hot spot quite quickly. This could be as early as an hour after your first dose. Keep an eye on the hot spot. Whenever you see improvement in the hot spot, stop dosing … and keep watching the hot spot. THEN … anytime you see the hotspot appear to worsen, or stop improving, give your dog another single dose. You may find you need to redose occasionally over the next few days as the hotspot heals. Let the hotspot be your guide as you consider whether to redose or not. If the hot spot gets worse or the improvement stops, redose. If it’s still improving, don’t redose. 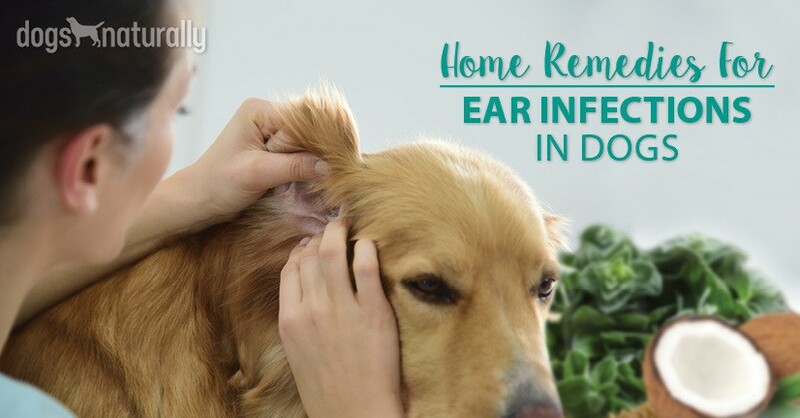 If your dog suffers from chronic, recurring hot spots, especially if these seem to be due to mental or emotional causes, it’s best to consult your homeopathic vet, who may recommend other remedies. Some commonly used ones are Pulsatilla, Graphites and Arsenicum album. Countless other homeopathic skin remedies may be used for more chronic cases where hot spots recur and the mental or emotional picture is appropriate. Bach Rescue Remedy can be useful on a daily basis in cases where there is prolonged household or environmental stress or where life or family changes are affecting your pet. You can put a few drops in your dog’s water bowl, even if there are other dogs in your household (it won’t affect them if they don’t need it). In addition to these hot spot solutions, make sure your dog has lots of mental and physical stimulation based on his breed, age and health. Groom your dog often and eliminate the possibility of fleas. Provide fresh, spring water (with no fluoride or chlorine). Again, remember that natural remedies like the ones recommended here are much safer and more effective for your dog than conventional medicines. These natural solutions can help solve the issue that’s causing your dog’s hot spots, whereas most conventional “anti” medicines (such as antibiotics) just suppress the hot spot temporarily, and you’ll see it return later. If you feel you need help, find a homeopathic vet in your area. If you don’t have access to a homeopathic vet, you can find one at the AHVMA website or connect with the vets in the DNM Academy and learn how to treat common issues at home with their guidelines and care. With just a little help, you’ll be able to treat hot spots and other common issues at home. Can Half Dose Vaccines Reduce The Risk Of Vaccine Reactions In Small Dogs?